Micronics Master M200 features three white ring LED fans, acrylic front and side panel and a fan switch allowing for the fans to be either run at full speed, half speed or totally switched off. Micronic's Master M200 is their most cost effective chassis that is feature packed despite it's lower price tag! 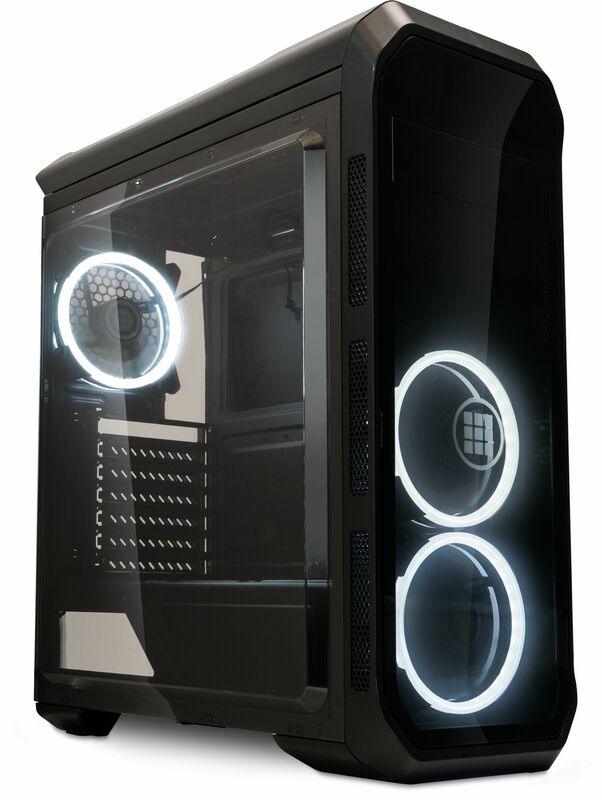 The chassis is supplied with transparent acrylic front and side panel, three white ring 120mm LED fans and a built-in fan switch, giving you control over the chassis fans. 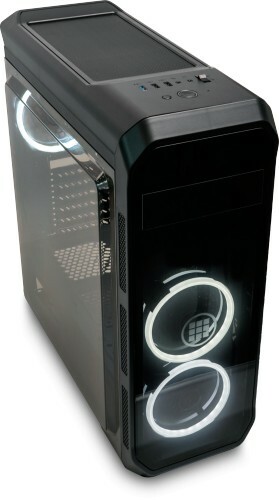 The front and left hand side of the M200 feature full acrylic panels, with the latter providing an unobstructed view into the internals of the PC. Behind the front panel sits two preinstalled white ring LED fans, which give the M200 a distinctive look of quality. Supplied with three 120mm fans, the M200 is ready to cool any hardware thrown at it. There are also provisions for installing a further two 120mm fans on the ceiling of the chassis, if additional cooling is required. As you would expect all intake vents feature dust filters to help prevent any dust intake. This helps to keep the installed components dust free for longer. As well as being able to install two 120mm fans on the ceiling of the chassis, it is also possible to install a 240mm watercooling radiator, if watercooling is your prefered method of cooling. The radiator can also be installed inside the front of the chassis, providing more options for your watercooling needs. At the top of the chassis there are the usual I/O ports, which include 1x USB3.0, 1x USB2.0, headphone and mics ports. The chassis also features a 3-step fan controller that is able to control the installed chassis fans. The three speeds are full power (12V), half power (6V) and if cooling is not required you can switch the fans off. Drive Bays 1x 5.25", 2x 2.5" and 2x 3.5"